There are always times when the directory settings within an operation system need to be examined and cleaned. In this case it is important to be able to understand how the hard disk is being used the space that is currently occupied that the partitions that may need further attention. WinDirStat is able to accomplish all of these goals through the use of a highly intuitive user interface. A format that is very easy to understand and use. WinDirStat normally takes only a short period of time to analyse an entire hard drive. Will not clean or rectify problems within a hard disk directory. The last update took place well over one year ago. As this software is absolutely free it is a welcome alternative to similar applications that will require a paid subscription. Once the program is launched it begins to analyse every section within a current hard disk. In then breaks these segments down into what are known as 'trees'. Each tree is a separate directory and a graphical interface shows details such as the size of the file alongside how much free memory remains. 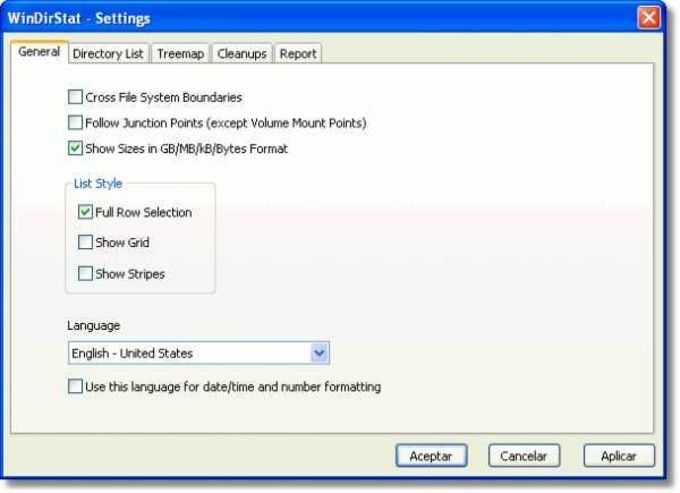 Unlike standard bar or pie charts WinDirStat illustrates each directory as a rectangle of a different colour. The size of the rectangle is representative of its memory allocation. This software also analyses extension lists and file types. So the user will enjoy a detailed breakdown of all hard disk statistics in only moments. WinDirStat is a disk usage statistics viewer and cleanup tool for Microsoft Windows (all current variants). Small install and does what it is supposed to do.. Shows exactly size, percent of drive, type of file. Does exactly what it is supposed to do. it is a very small install and quick to show results, even on a drive that is practically full. I use it exclusively to show my clients why their drive is full. The to-scale visual representation is great for the uneducated to understand file size. Easy to understand what you are looking at. What do you think about WinDirStat? Do you recommend it? Why?